Garbage disposals are a kitchen necessity. They grind up leftover food waste into particles that are small enough to send down the drain. Once you have one installed, you won’t have to worry about putting your food waste into your kitchen trashcan, where it can really start to smell. When you think of it this way, these appliances, like the InsinkErator O1100XL garbage disposal, really are useful. I recently purchased this unit for my home and liked it so much that I’m going to review it here. I’ll go over things like how much noise it makes and how complicated the installation process is (hint – it’s not at all), in order to paint a very thorough picture of the InsinkErator O1100XL. Are you ready to see why you need this disposal in your own home? Read on! The InsinkErator O1100XL garbage disposal is extremely quiet. According to the packaging, you’ll be able to run this disposal and have a conversation in the same room at the same time. This is saying a lot (no pun intended) as many disposals make so much noise that they can be heard in the house next door. One of the reasons for this is the fact that this is a professional model. It’s made solely for professional plumbing contractors, who do not mess around when they are choosing kitchen appliances for their clients. Thankfully, this particular model is available to the public, and you don’t need to be an expert in order to complete the installation process. 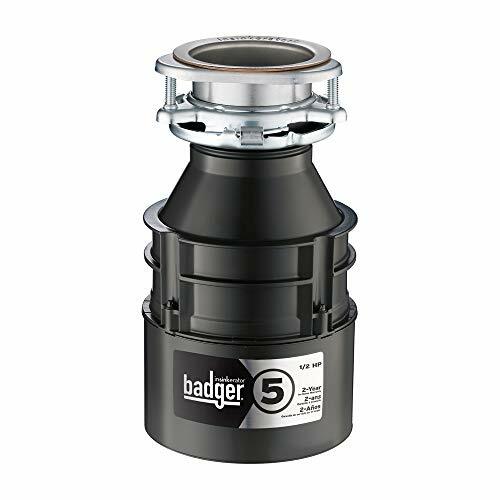 This garbage disposal, the InsinkErator O1100XL, is certified “frustration free,” meaning that you won’t have to deal with clogs, leaks, and many of the other problems that plague garbage disposals in general. It’s also one of those appliances that can best be described as a workhorse. It will keep on trucking, so to speak, making it one of the best disposals out there for the price. I certainly think so anyway. It really is as quiet as it claims, and installation was easy since the appliance comes with everything that you need to put it in. 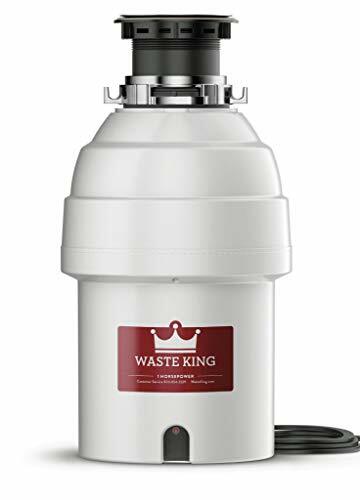 In order to provide a thorough review of the InsinkErator O1100XL garbage disposal, I need to point out some of its features. It runs on 120 volts of electricity and runs off of a wall switch. You can also install the switch under your sink, like I did, to make turning the device off and on much easier. I don’t have to worry about hitting the wrong switch and turning off the lights when what I really want to do is run the disposal. The InsinkErator O1100XL garbage disposal makes very little noise, although we’ve already established that, and the installation process is easier, thanks to the enclosed instructions. Their “frustration free” certification extends to that as well! This appliance is made of stainless steel and weighs 15 pounds. It comes with a power cord, as well as a sink extender. It measures nine inches by nine inches by 13.5 inches, which means that it doesn’t take up too much space under my kitchen sink. I love that about it, as I need all of the storage space that I can get. 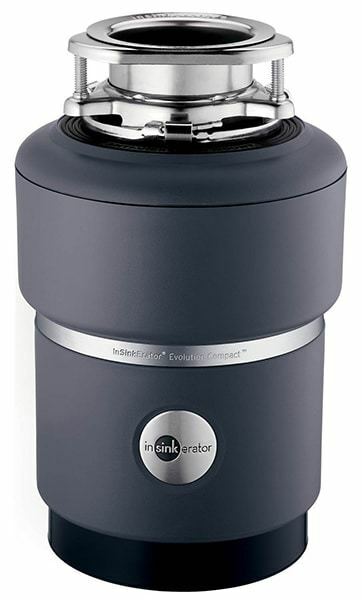 This disposal, the InsinkErator O1100XL, uses a three-stage multi-grind process in order to chew up food waste. It really does shrink everything that I put it down to miniscule proportions, which is perfect since I don’t have to worry about clogged pipes. It’s a continuous feed disposal and will keep running as you feed your food waste into it. The sink baffle – the part that goes into the drain of the sink – has a patented Quiet Collar, which helps keep the noise level down. This, along with the SoundSeal (another patented addition) really make this device worth bragging about. But, it gets even better. The InsinkErator O1100XL is made entirely of stainless steel, from the 40-ounce stainless steel grind chamber and components to the exterior of the device and the Quiet Collar. You won’t find any plastic here. It truly is an amazing device. 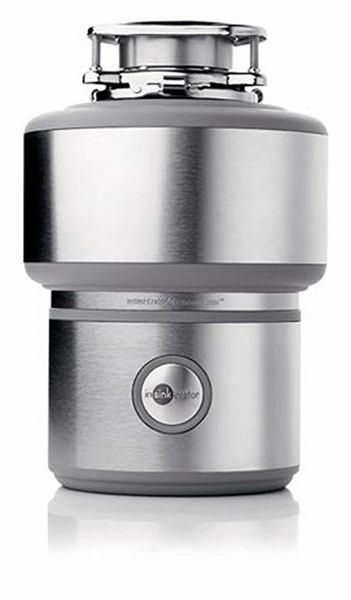 The InsinkErator O1100XL garbage disposal is made by Emerson Appliance Solutions. They also make hot water dispensers. The InsinkErator Company was founded in 1927 by John Hammes, a resident of Racine, Wisconsin. He is credited with inventing the “in sink” food waste disposal, which quickly became adopted by other companies. Obviously, garbage disposals are now household necessities. At the time, Hammes was working as an architect, and he came up with the disposal idea at the request of his wife, who wanted a better method of disposing of food waste. The name InsinkErator is a play on the word incinerator. Since the disposal essentially “incinerated” food (well, in a way) and was placed into a sink, it was a natural fit. In 1968, Hammes’ In-Sink-Erator Manufacturing Company was purchased by Emerson Appliance Solutions. Emerson is a global company that makes everything from garbage disposals to plumbing valves and other things. They own over 30 brand names and create and sell items to three main markets: consumers, commercial businesses, and industrial manufacturers. InsinkErator is just one piece of their global puzzle. Now, let’s continue this InsinkErator O1100XL garbage disposal review with a quick comparison. Just for fun, I’m going to compare this disposal with the KitchenAid 3/4 HP disposal. I also own that device, so it’s easy to review the two units. The InsinkErator has a JamSensor Circuit Feature, which adds to the appeal. You won’t find yourself hitting the reset button often. The KitchenAid does not have this option. However, both machines come with power cords and everything that you need to install them. They are also quiet, although the InsinkErator is quieter. In all, I believe that the InsinkErator O1100XL garbage disposal is worth purchasing. It’s extremely noise free, thanks to the patented additions made by InsinkErator, such as the SoundSeal and Quiet Collar. The installation process was easy and “frustration-free.” Although the disposal is a little on the heavy side, that’s easily forgiven, because it’s made from stainless steel. If you want a workhorse in your kitchen, then you need the InsinkErator O1100XL. It really does live up to the hype and its name, thanks to its multi-level grinding.